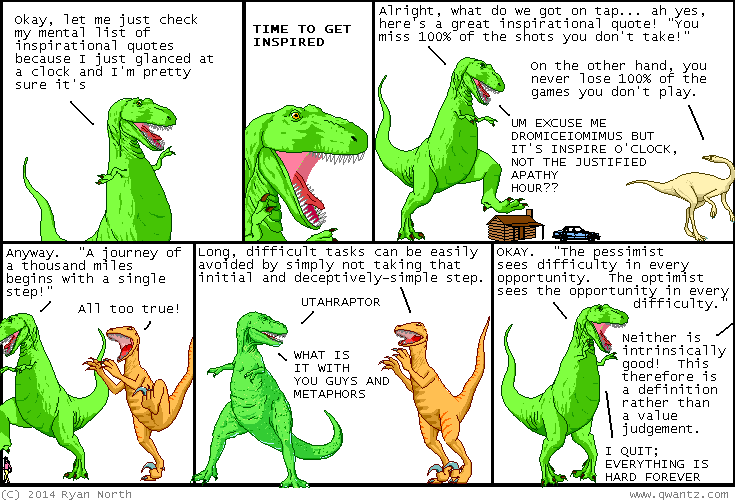 Dinosaur Comics - February 26th, 2014 - awesome fun times! –AND they shared EATING DISORDERS. February 26th, 2014: DID YOU KNOW: yesterday at the dog park I met THREE new dogs and I know it's got nothing to do with anything but I just wanted to share how rad these dogs were, which was extremely!